19/12/2016 · The Oakland Museum of California’s special exhibition, Out of the Box: The Rise of Sneaker Culture, chronicles how sneakers have evolved into a …... 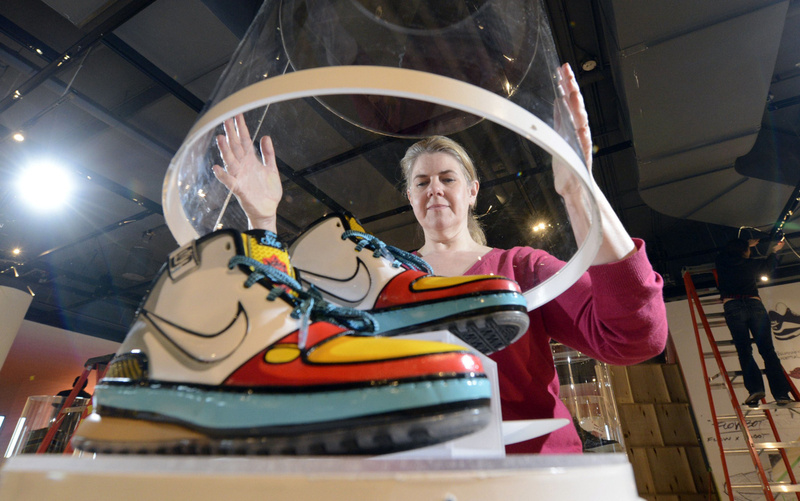 In the summer of 2013, The Bata Shoe Museum had an exhibition entitled “Out of the Box: The Rise of Sneaker Culture”. In partnership with the American Federation of the Arts, Shantell was asked to come and create an installation on the glass exterior windows of the museum. Elizabeth Semmelhack, senior curator at the Bata Shoe Museum in Toronto, will speak about her recent book, Out of the Box: The Rise of Sneaker Culture, on Thursday, April 6, at 4:30 p.m. in Bulger Communication Center West. Over the last century, sneakers have symbolized performance and affluence, street style and high-end fashion. Thursday, Semmelhack is our guide for a history of sneakers. We’ll talk about innovations, trends, and what each shoe tells us about a particular moment in time.